In the early 1960s, while teens were swooning over the Beatles and the Rolling Stones, Judy Jacques, an Australian youth, was soaking up whatever American gospel records she could get her hands on. At the same time, Australia’s Yarra Yarra New Orleans Jazz Band was introducing Melbourne audiences to traditional American Dixieland style jazz. Combined, Jacques and the Yarras gave Australians a bracing and remarkably authentic taste of black gospel and spirituals. In the process, Jacques became Australia’s Queen of Gospel and Trad Jazz. 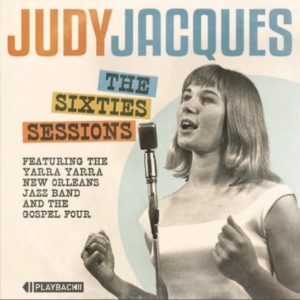 A comprehensive survey of Jacques’s 1960’s religious and pop recordings has not been available until the release of The Sixties Sessions. The package includes a lavishly illustrated 32-page history, superbly researched and written by Andra Jackson and Jacques herself. It tells the tale of how a young, petite, blonde-haired former child radio star from Melbourne fell in love with black gospel and couldn’t wait to share her passion with the public. From the outset of the 24-track collection, it is clear that the beat-pushing Yarra Yarra New Orleans Jazz Band was an ideal accompaniment to Jacques’s alto. The players work so hard on “Nobody Knows the Trouble I’ve Seen,” from 1962, that the young singer starts to growling some of the lyrics. On the other hand, the Gospel Four, another combo with whom Jacques recorded gospel and spirituals, support her in a more subdued manner, staying very much out of the way. Jacques’ lithe warbled high notes and robust low range evoke a lighter version of another Aussie lead singer, Judith Durham of the Seekers. All told, Jacques’ mature voice belied her thin frame as she worked to emulate artists such as Mahalia Jackson and Sister Rosetta Tharpe. But she clearly heeded the advice to temper her inner Mahalia with her own natural singing style. Such was Jacques’ affection for gospel music that when the original cast of Black Nativity toured Australia, she invited them over for barbecue. The girl who savored Princess Stewart’s “That’s God”—-her 1963 cover of the song is included on the collection–-had a chance to meet the star herself, along with Marion Williams and Alex Bradford. The CD also includes Jacques’ brief dalliance with pop, notably her 1966 single, “You’re Messin’ Up My Mind.” At the time, Australian radio deemed the single “too black” for airplay, but Jacques was delighted to discover that it found a second life as a favorite among the Northern Soul set. The booklet alone is worth the price, but the music on The Sixties Sessions, mastered by Gil Matthews, offers a fascinating glimpse at how gospel and jazz inspired people of all races, ages and countries to try their hand at shouting the glory down. 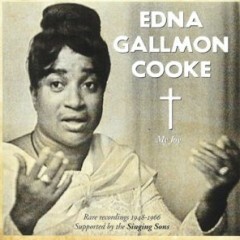 Edna Gallmon Cooke may be one of the most underappreciated female vocalists of gospel’s Golden Age. Although her voice was small when compared to belters like Mahalia Jackson, Emily Bram-Bibby and Ernestine Washington, what Cooke lacked in volume she made up for in finesse. She stirred church congregations by starting her performance soft and slow and building to a fiery crescendo. She knew when to shout, when to drop into a bluesy disposition, when to evangelize and how to work with accompanying singers. It didn’t matter whether it was a young people’s choir, a male choir, or a quartet—Madame Cooke was as comfortable with them as she was singing solo. 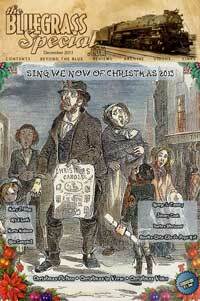 And for recording short song-sermonettes, she was a pioneer. But with the exception of a 1995 Nashboro/AVI CD compilation of Nashboro sides, Cooke’s catalog had, until recently, remained largely unplumbed. Then in 2015, Acrobat Records released an extensive two-CD retrospective spanning Madame Cooke’s recording career from 1949 to 1962. Of special note is My Joy’s inclusion of Cooke’s rare Merit sides with the Sunset Harmonizers: “Just Hold On” and “Going to that City.” Her 1949 radio hit, “Angels, Angels, Angels” (aka “Angels Get My Mention Ready”), accompanied by the accomplished Mt. Vernon Men’s Choir, swings with such an infectious vaudeville-like gait that I wish the team had done more recordings together. A revelation is the piano work of Marjorie Cheeks on Cooke’s 1952 and 1953 selections, most notably “Have You Got Room,” with the Springfield Baptist Church Young People’s Choir. The spouse of the legendary quartet singer Reverend June Cheeks, Marjorie was fierce on the piano, playing like she took lessons from Thomas A. Dorsey. A video exists of Marjorie playing piano standing up, hitting keys with her elbows, and providing the showmanship that Jerry Lee Lewis and Little Richard employed in rock-and-roll and R&B. A fascinating figure, Marjorie also deserves much greater attention. The album notes draw in part from Judy Cheeks’ book, Love and Honor—The Life of Rev. Julius Cheeks, which details Cooke’s marriage to quartet veteran Barney Parks and her connection, through Parks, to the Singing Sons. The Sons have so captured Gospel Friend’s heart that My Joy features two of their Nashboro sides sans Cooke. With roots in the Dixie Hummingbirds, the Singing Sons have a hard-edged harmony that takes no prisoners. As usual, Gospel Friend offers expertly remastered selections in a handsome package with learned liner notes. Madame Cooke would be pleased, and so will you. 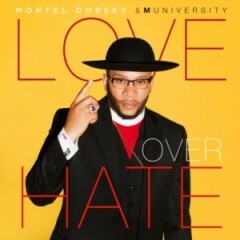 The gospel group Montel Dorsey & MUniversity sets the thematic tone of its Love Over Hate CD by opening with a montage of radio and TV newscasts covering last year’s deadly shooting in Orlando, Florida. Overdubbing his anguished declarations that nobody has the right to decide who lives or dies, that we are not God, that God is love, and that love conquers hate, Dorsey expresses his extreme distress over today’s violent world. But don’t expect an album-long head shake over the troubles of the world. In the autobiographical “My Story,” we learn that Dorsey has had his own share of demons to wrestle with. He uses Love Over Hate to praise God for delivering him from the grip of the devil and allowing him to spread a message of love to the masses. By extension, he and MUniversity argue, God will deliver the entire world. It’s a reversal of the “what God does for others, he will do for you,” but the palindrome works. So although the opening moments contain raw-edged Christian hip hop, that’s it. And that’s sufficient, because the remainder of Montel Dorsey and MUniversity’s messages are supported by a far richer mélange of percussive, complex, brassy and occasionally orchestral arrangements that frequently barrel toward the listener with the ferocity of a freight train whose brakes have failed. Such is the case in particular with the high-energy “King of Glory,” a neo-traditional pewburner that moves at an exhausting pace and even dallies at times with Broadway stage high drama. The current single, “Celebrate,” is a polyrhythmic offering of thanksgiving for personal salvation. It features vocal leads by the talented Ruth La’Ontra, the equally captivating Farrin Sherelle, and a rap interlude from Janoir. Dorsey, a New York-based singer, songwriter, producer, group leader and pastor, has a resume that includes work with the late Bishop Timothy Wright (he interpolates Wright’s “Jesus Jesus Jesus” in the prayerful “Jesus Deliver”). He has also assisted James Hall, Byron Cage, Melvin Crispell and Hezekiah Walker. One hears the aggressive, extroverted, explosive East Coast choral sound of Hall, Crispell and Wright on this album. Dorsey as a vocalist functions much like James Fortune: a preacher/teacher making declamatory statements while MUniversity responds in harmony. He makes ample use of female vocalists, such as the aforementioned Ruth La’Ontra and Farrin Sherelle, as well as Tiffany and Jessica Pugh, for the leads, though like a seasoned quartetter he belts out “I Need Thee Every Hour” at the tail end of the project. 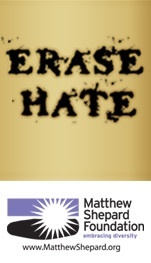 With far more focus on the goodness of God than the evil that men do, Love Over Hate delivers on its promise. In the early 1970s, Chicago’s Leon Triplett was making soul records for Curtom/Thomas Records with his twin brother Levi. The Triplett Twins’ 1972 “Pretty Please” even got a second life when it was heard in Big Stone Gap, an Adriana Trigiani-directed film starring Ashley Judd, Whoopi Goldberg and Jane Krakowski. Leon went on to be a songwriter for Brunswick Records and continues to work the circuit. 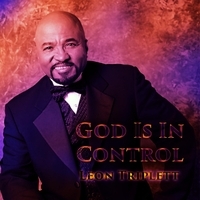 With the seven-track God is in Control, Leon Triplett goes gospel, stamping a ‘70s disco-soul style onto his songs. Swirls of synth surround the title track, an apocalyptic vision of God’s final victory. The equally atmospheric “Seven Days” imagines life without God for a week. The song’s litany of deterioration of a person’s physical and mental state without God evoke a drug addict’s descent into darkness. Vocalist Janet Ja’nae joins Triplett on the closer, “Hero,” a repetitive but melodic song that praises Jesus for sacrificing his life for us. The heavy use of synth gives the project a compressed sound. But you have to hear “Let Jesus Love the Hell Out of You.” It’s reminiscent of a time when gospel artists didn’t mind injecting a little sense of humor into their singing every now and then. 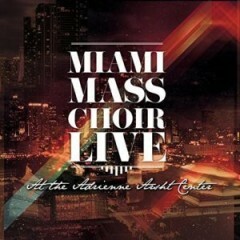 Having fun while worshiping is the overall impression one gets listening to Miami Mass Choir Live at the Adrienne Arsht Center, the choir’s latest full-length release. And I don’t mean frivolous fun, but a bouncy joie de vivre from enjoying the worship experience. In other words, no New Age religion, no extended moments of quiet rapture, no overly complex arrangements, no whispering all over the place. It’s about extroverted and stirring contemporary gospel music delivered in the dynamics of a live setting. The Miami Mass Choir was founded in 1995 by Pastor Marc Cooper with the encouragement of Savoy Records’ Reverend Milton Biggham. Cooper is still the choir director, and he’s the producer and executive producer of this album. The most inspired decision was to invite “Miami Soul Queen” Betty Wright to lead “That’s What He Is.” To the rhythm of clapping hands and clomping feet, Wright relates with relish how she calls on Him in time of need. The star turns continue with Beverly Crawford rendering the slow-burning, minor-keyed “Calvary.” Crawford is her usual effervescent self as she ponders the rhetorical question of why Jesus would die for wretches like us. The emotional pitch of the song stimulates the first of the album’s two praise breaks. The other praise break comes after “Thank You Jesus.” Zacardi Cortez and JaLisa Faye take a simple melody and easy-to-learn lyric—ready made for congregational singing—and turn them into an explosion of improvisation. I can’t remember the last time I listened to an album that contained two praise breaks. The musicians, singers, and live audience must have been exhausted by the end of the recording session, and it’s almost certain the Arsht Center hadn’t seen the likes of it until then. With its salsa feel and Spanish lyrics, “Good News” pays homage to Dade County’s significant Hispanic Christian population. During the song’s reprise, the tempo moves from andante to feet-flying frenetic as horns blast out improvisational riffs of white heat. “All I Need,” featuring vocalist Avery Jones, is the album’s “let’s go to church” track. It feels like a quartet arrangement for gospel choir, especially during the “Holy Ghost Power” segment, which evokes the Victory Travelers’ version of the latter. Although broken into two parts for radio friendliness, the selection needs to be heard in its entirety. Listen for masterful guitar work throughout by veteran studio musician Jonathan DuBose Jr. The Christian rock-fueled final cut, “Overcome,” could easily be overlooked because it is of a different construct from the other tracks. Nevertheless, it employs the familiar “We Shall Overcome” mantra to carry an important message for our time: keep up the fight for a better nation–-for your children’s sake and to honor our ancestors’ many sacrifices. Available on Amazon.com, itunes, other digital outlets. The hard copy with the 36-page color booklet is available at the church through its bookstore and website. Disc One of Stay Connected, the two-disc project from Chicago’s Trinity United Church of Christ music and arts ministries, is alone sufficient to declare the project excellent. That it contains two discs makes it spectacular. It has been fifteen years since the South Side church has released an album, but it was worth the wait. 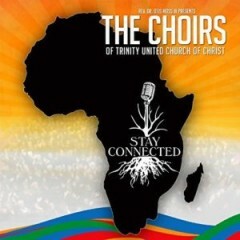 Stay Connected is packed with gems of all types—from praise anthems and gospel workouts to formal pieces and songs rich with African choral harmonies. The project has the musical depth of Kurt Carr albums and the annual Gospel Music Workshop of America Mass Choir efforts of the 1970s and early 1980s. Among the collection’s highlights is the Sanctuary Choir’s medley of two spirituals, “Jesus is a Rock in a Weary Land” and “I Know I’ve Been Changed.” With only a thumping beat for accompaniment, the medley evokes the a cappella singing of spirituals in brush harbor meetings. The album pays homage to Trinity’s commitment to pan-Africanism with several nods to African, Afro-Brazilian and Afro-Caribbean sounds. For example, Dr. Fred Onovwerosuoke leads the Mass Choir on “Yesu Sore,” translated as “Arise, Jesus” or “Wake Up, Jesus.” It is a lovely ballad with as authentic and lush African choral harmonies as you are likely to hear outside of South Africa. Later, Uche Omoniyi and the church’s African Dance Ensemble provide a hypnotic drum piece called “Sorsonet Balafele.” “Estacao Raiz” has a Brazilian flavor. The Women’s Chorus and Bryan Johnson, Trinity’s Executive Director of Sacred Music, render the majestic “Make Your Presence Known,” written by legendary gospel songwriter A. Jeffrey LaValley. LaValley, along with Plu Harmon, Eric Troy, Wayne Barrett, and Dr. Onovwerosuoke helped in producing the album, and their combined talents are in evidence throughout. The high point of the two-disc set is the Sanctuary Choir’s “I Know the Lord Will Answer Prayer,” a Calvin Bridges pewburner that evokes his “I Can Go to God in Prayer.” Another standout is Dr. Cynthia Nunn’s “He’ll Be Right There,” which she leads with the Mass Choir. Towards the conclusion of “Abba Father,” a praise song in a minor key, the Youth Choirs drone a note under the main melody, then raise the emotional tension of the entire arrangement by singing the same note an octave higher. It’s a chilling touch. Kevon Carter’s “God is Good” is the current radio single. Trinity United Church of Christ, now under the leadership of the Reverend Dr. Otis Moss III, with the Reverend Jeremiah A. Wright Jr. as pastor emeritus, has had a storied history of sacred music. Back in the day, Trinity’s music ministry embraced contemporary gospel music and exploded in growth under the leadership of the late Jeffrey Radford. But there’s no doubt that Stay Connected is the finest collection to come out of the church’s music and arts ministries.